Three young gymnasts from Shrewsbury Gymnastics Academy have each been crowned individual West Midlands champions at the Regional Gymnastics Levels. Fiona Morfill took home the top spot in the Level 2 14+ category, Darcy Fletcher in Level 4 12+ and Zoe Ward was on top of the podium in the Level 4 10/11yrs. Six other gymnasts in the club also came away with top three finishes. 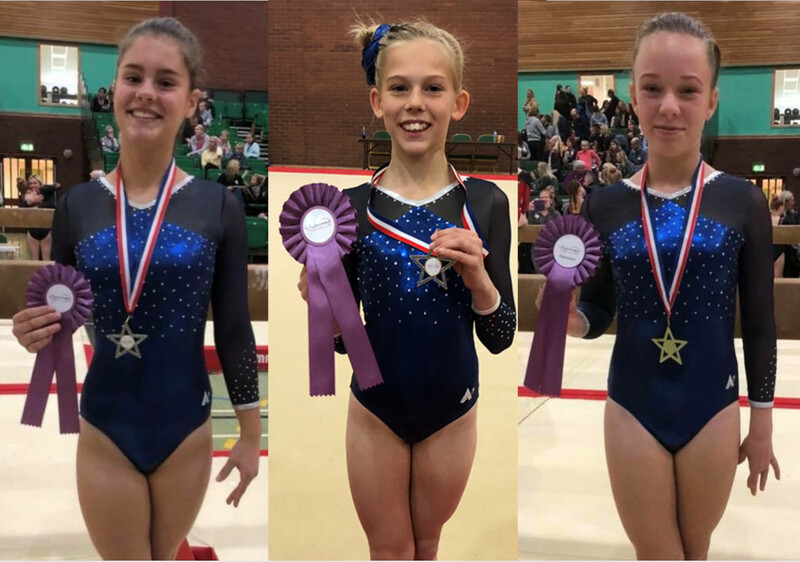 Lucie Thouvenin earned a silver and Evee Stevenson-Lea bronze in the Level 2 12/13 category, Lilia Banks won silver in the Level 4 12+, Grace Gray bagged bronze in the Level 4 10/11 years and Gemma Turner took the all-around silver in Level 3 13+. Shrewsbury Gymnastics Academy moved into their own dedicated gymnastics facility in June this year and attribute this success to both their new venue and the hard work of their gymnasts and highly qualified team of coaches.